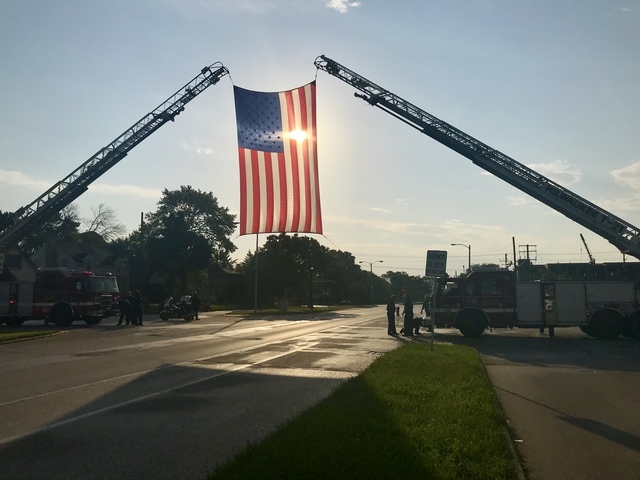 MPD gives final salute to Charles Irvine Jr.
MILWAUKEE -- Milwaukee Police officers gave a final salute to Charles Irvine Jr. Saturday morning as the motorcade carrying his body passed the district building where he worked. Not a word was spoken by police or local residents who came out to watch. Shortly after sunrise, around a hundred officers stood watch as a giant American flag was raised above the W. Silver Spring Dr. in front of District Four to accompany a makeshift memorial on top of a patrol vehicle overflowing with flowers and teddy bears in honor of Irvine. Vernon Addison couldn’t help but take notice. Dozens followed to witness the somber spectacle. “It’s hard to take, it’s just a young man, he’s just starting in life,” said nearby resident Laona Sametz. Sametz is heartbroken for a man she never met. “This is the only time I can give my regards to what happened,” she said. The final goodbye came with an unfamiliar feeling for most of the officers in attendance who salute one of their own killed in the line of duty for the first time in 22 years. “We just couldn't say anything for a few minutes, just couldn't believe that this would happen,” said Sametz. A rush of police motorcycles weaved through the officers, leading the motorcade including Irvine’s family and friends en route to lay their loved one to rest. It’s a difficult reminder for Sametz of the sacrifice officers make to serve the community. 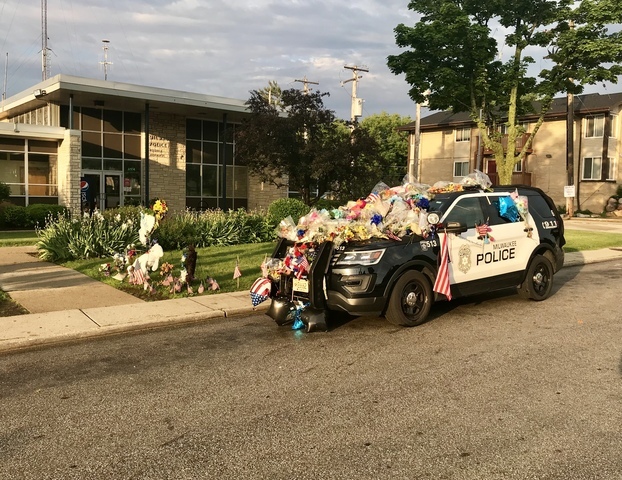 West Milwaukee Police lent several officers to help patrol the area so every officer from District Four could attend the funeral.